Are you running your own business, in a leadership position or an aspiring leader, a woman who’s juggling life and career? This program is designed especially for you! This program is designed especially for you. Last event sold out in 2 weeks! Create a calmer, more relaxed YOU: Register now! Are you so busy being busy that it feels like there’s no time to stop? No time to have lunch? No time to think and plan? Is your brain is working overtime and yet you’re not achieving what you want to, or simply spinning your wheels? It’s easy to overlook what’s important when you’re lost doing what’s urgent. The most important thing you can learn to do is to look after yourself! Find freedom from your busy mind. Re-energise and reconnect with yourself, your body and your life. Return home with a plan! Join Kerene Strochnetter and Shirley McLeod for a weekend away – chillaxing and learning how to bring mindfulness and yoga into your life, while eating good food, getting fresh air – and finish the entire program online. The Mindful At Work ‘My Off Switch’ program is designed for busy professionals so you can manage your most important asset – YOU! This established and tried and true 8-week mindfulness program is usually $4,995 for individuals, but we’re offering it to you as a group for only $1,295 per person all inclusive. Two women 20% discount. Three or more 30% discount! Payment plans available! Contact us. Register for your spot at Omori now! PLUS your own personalised yoga plan created by Shirley McLeod from Yoga With Me with access to online videos to maintain your practice after the program ends. An entire weekend away at the fabulous Omori retreat – hidden among 24 acres of a native New Zealand bush, rolling hills with panoramic views of Lake Taupo and surrounding country. The retreat could not have come at a better time… the goal was to deepen my understanding of meditation, but little did I know it was going to change my perspective on lots of things! Since the retreat I haven’t missed a day of meditation, life is happier, I’m more present, and relationships are deeper. When times get ‘challenging’ there’s a tool belt I can utilise, and to always come back to meditation for clarity. At a particularly busy time of the year, I’m a cool cucumber with so much creativity and focus… amazing! I’m noticing a change in me, calmer, listening more – not too busy or opinionated – and it seems a lot easier for me to just let my opinions go and just listen. I’m hearing a lot more! Feeling more at peace by not getting involved in everything. I find I’m really present in my work. I don’t find it hard to concentrate and am now making the effort to finish the current portion of the task and then look up. I don’t check my phone much at all and can easily ignore it for long periods. Thanks and will continue practicing. We want to set you up for success! Yoga is mindfulness in motion. Plenty of yoga on the weekend led by registered yoga teacher Shirley McLeod from Yoga With Me. Whether you’re a complete beginner or a seasoned professional, Shirley’s easy to understand instructional style will have you feeling safe and confident to join the yoga practices. With options for everyone, you can either take it slow, or amp it up. We believe you’ll get the most benefit from combining a sitting mindfulness practice with yoga. No good getting your mind into a calm relaxed state and forgetting about your physical well-being. With that in mind (no pun intended) Shirley has created a new yoga program and video series (based on the Yoga Deck) to keep your practice alive long after the weekend is over! Stay at the exclusive Omori Retreat just out of Taupo. ‘My Off Switch’ program is designed for busy professionals. It unpacks the impact of being constantly busy by understanding how to use mindfulness to counterbalance busyness and to turn your life around. This program usually starts with an intensive one-day workshop, but we’ve stretched it to 2 days, by interspersing it with walks, yoga, eating, relaxing and simply chilling out. The second part of the program is delivered as 7 virtual group sessions (1-hour a week over 7 consecutive weeks) to embed and merge mindfulness into your lifestyle and work routines, so you can create long-term changes that work for you. • How to start practising mindfulness (beginning with the first foundation body and breath) without sitting for hours or needing to run off to join a monastery! ‘My Off Switch’ is a proven programme already delivered to top performing people and businesses across NZ and Australia. Omori Lodge is big and beautiful. The moment you step inside you will feel the warmth and space in which you can make your own. From the large entertainment area, commercial kitchen, spacious upstairs accommodation floor and the huge garden/lawn, Omori has it all. Put your feet up and relax overlooking the shores of Lake Taupo or take a stroll over our 10 hectares of land. Fantastic accommodation where the air is clearer, fresher, with spectacular views in a quiet open environment. Omori has shared rooms accommodating a maximum of 24 people so bring your friends with you! All meals included. Enjoy an excellent healthy daily breakfast, lunch and dinner. BYO wine if you want, or not…it’s up to you! You’ll have the opportunity to get out and about on gentle mindful nature walks. Enjoy the physical beauty of the environment without hiking for hours or needing any special gear (just bring a pair of comfortable walking shoes for short walks, or you can decide to stay on the couch and relax if you like). Bring a raincoat if you’re an adventurous outdoorsy type, but your hosts Shirley and Kerene will encourage you to stay inside if the weather is wet. All walks are optional. Great company. This is a women’s only escape. You’ll be surrounded by like-minded professional women who share a desire to escape to a quiet energising place, to refuel, have fun, share experiences, while learning how to take back control of your own life using yoga and mindfulness. Escape from the hustle and bustle so you’re less distracted. We want you to have some well-deserved ME TIME in a relaxing environment as you learn! 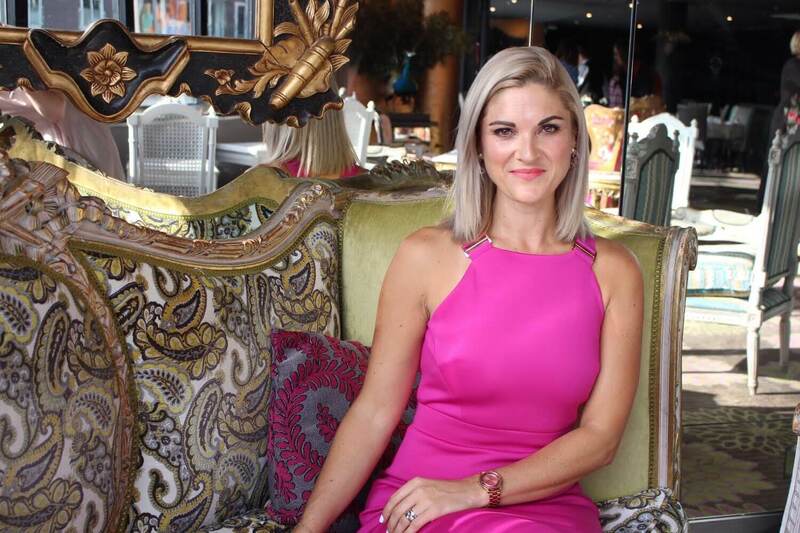 Kerene’s background as an Academic Leader, Principal Consultant and Coach perfectly positions her to show you how you can use your mind differently, to create the kind of life that has you jumping out of bed every morning. When you begin a mindfulness practice it’s vital to understand that you’re competing with your brain’s old hardwiring (your Default Mode). Kerene’s cutting-edge brain-based approach (informed by the neuroscience of mindfulness) shows you how establishing a regular mindfulness practice and being more ‘mindfully’ aware builds new wiring and changes your life. 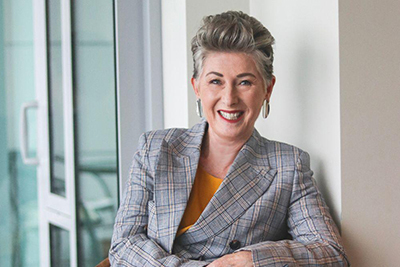 Kerene is the Managing Director of Mindful at Work Ltd. She works with smart, successful professional people, leaders and businesses across NZ and Australia who want to take off their ‘busy badge of honour’ and re-engage with their lives and careers on a different level. Kerene delivers My Off Switch programs that focus on peak performance, engagement and health and well-being. She’s especially interested in aligning values with behaviours because that’s a real game-changer. Kerene has two adult sons and a new grandson Hugo. She has a regular yoga practice at Empower Studio and has meditated daily (well, almost every day) for almost 9 years. She began meditating after her life went belly-up (she’ll tell you about it!). She decided to put herself first! If you had of told then that she’d be teaching people to meditate today, she’d never have believed you. It was the science that got her hooked, and once she experienced changes in herself with her own practice, she got serious about learning more and sharing it with others. When she’s not working, she can be found in her apartment tapping away on her laptop, thinking up new ways to change the world (and herself), in cafés or walking along the waterfront in the fabulous city of Wellington. After a crazy 2013 where she had her second child, led a once-in-50-year change to criminal prosecution processes, and was runner-up in New Zealand Project Manager of the Year, the universe intervened. While on holiday Shirley stumbled across an outdoor yoga class – starting a journey that would ultimately help her to better manage her busy work and family commitments. Using yoga to de-stress, unwind, and relax, Shirley has become more focused, productive, confident and effective. Shirley founded Yoga With Me in 2015 to keep herself accountable in the lead up to completing yoga teacher training, but also to encourage and inspire others to give yoga a go – whether that’s for fitness, flexibility, stress management, relaxation, mindfulness or just because you want a reason to wear comfy yoga pants all day. Yoga With Me is now New Zealand’s largest teacher-led online community for yoga inspiration, advice and encouragement. Shirley also spreads her message in person, speaking to corporate and wellness events across New Zealand about the importance of creating calm and finding balance in our busy lives. In 2016 Shirley launched the YOGA DECK TM – an oversize deck of cards of instructional yoga poses and sequences to help people take their yoga practice anywhere. The first print run of the Yoga Deck sold out and is now on its fourth print run. Shirley trained as a teacher of Mindfulness Based Stillness Meditation under the guidance of Paul Bedson, lead facilitator at the Gawler Cancer Foundation’s Yarra Valley Living Centre and past President of the Meditation Association of Australia. Shirley leads a growing and engaged community, focusing on yoga and wellness, while balancing the demands of family, a professional career and life in general. • Thank you for a wonderful course – I have totally embraced it. • I really enjoyed the course and got what I was looking for out of it. • I find the course has helped me to find that space for myself and put me on track to achieve my personal leadership plan. • Really great course, thanks so much! • I would really recommend this programme. Kerene really knew her stuff, and was a great presenter. I have felt calmer since starting the programme, and certain things have become much more apparent to me, especially how I am occurring to others, with wearing my busy badge of honour, and not being fully present. • I think mindfulness is a very important strategy for people to learn and apply both personally and professionally and would recommend this course to anyone! • Was incredibly valuable. Great program, I have already presented this to my wider team and will try to enrol them sooner. • Overall course is great and has huge benefits to personal life also. • The weekly sessions brought it all together and I found the whole thing really effective. • I loved the programme – it felt like a real privilege to take part and I learnt a lot. I’d thoroughly recommend it to anyone – while I certainly haven’t ‘nailed’ practising mindfulness I can genuinely feel an impact on my level of calmness, the choices I make and how I react to things. • Love it. Worked for me thank you. • I found the programme fantastic. • Kerene is an incredible facilitator – she never missed a beat … could not recommend her more highly. • Kerene was a fantastic facilitator who was never judgmental or demanding and understood the workloads we were dealing with. I would highly recommend her courses to others and would happily take another with Kerene as facilitator. • This has been a most enjoyable learning experience and an asset to my daily living. Love it thank you. • Kerene was fantastic! I really enjoyed the in-person session. The course has encouraged both me and my wife to participate in other meditation classes. Well done and thanks! • I can once again provide very creative ideas to solve complex problems. I can find things easily again. The $300 deposit to book your place is not refundable. Should you be unable to attend you will receive a full refund (less the $300 deposit) up until the 5th April. This refund does not include any transportation costs to and from the event. Are you’re juggling a million things at once and stressed about meeting multiple deadlines? Or are you completely in the – ‘right here, right now’ – living mindfully and paying attention to the present moment? The modern world demands more and more from us. Do you feel guilty about putting yourself first and taking time out, even though you know you must look after yourself before you can give to others? Women often take on the bulk of domestic responsibilities – combining running a home and family commitments – while working full or part time. Do you try to fit in a bit of exercise and self-care on the side when everything else is done? No wonder we burnout! Stress is a common side-effect of combining a busy professional life with everything else. Over time chronic stress changes the way you think (more negative, self-critical and problem-focused) until eventually you get sick, feel unhappy, and both you and your personal relationships suffer. And constant change and uncertainty in the workplace often competes with personal goals. You can’t think well under pressure, and you’re unlikely to show up as the best version of ‘you’ either at work or at home. It’s common to try a variety of ways to cope. Perhaps you self-medicate (drink too much wine?) to numb and take the edge off feeling stressed, or waste endless hours on Netflix, lost on social media, or watching mindless TV? And it seems to work (up to a point) but do you really want to live a numb life? Wouldn’t you rather feel energised and excited about your life and more connected to the people who matter? We all know you can’t change the world or other people, so what can you do? Mindfulness uses tried and tested ways to change yourself by changing your relationship with your own mind (stinking thinking). You can learn how to build inner resilience for whatever life throws at you. Mindfulness is the art of learning how to focus your attention, so you can stay more present and engaged with your life. It’s the practice of growing an attitude of self-kindness and self-compassion and learning how to better respond to stress and pressure, instead of reacting badly and regretting it later. What does being more mindful do for you? What do you want? • It might be not losing your temper at work, with the kids and your partner at home. • To interrupt negative self-talk, so your inner voice has less power over your mood and behaviour. • Get back in touch with yourself – intuitively knowing of what is right and wrong for you – so you can make better decisions. • Take your career up a notch by becoming the leader you know you can be. • Stop the multi-tasking headless chicken act, slow down, feel calmer, and be more focused and productive. • Stay present in conversations by listening generously to what other people have to say and build better relationships. • Learn how to counterbalance an increasing problem and risk focus (inflexible thinking is a known outcome of stress), so you’re more creative and can find easier innovative solutions. • Find the courage and confidence to stand your ground, instead of holding back from difficult conversations. • To increase your energy levels so you can live a fuller life. • Stop missing out on the little things in your life and reconnect with people you love. • Get in back touch with your body and learn how to move it in ways it will thank you for. Mindfulness is learning to love yourself (warts and all) so your kindness and generosity spills over to others. It’s a workout for your mind, just like physical exercise is for your body. With regular practice, you’ll be more productive, efficient, connected and feel more like you!